The Horley Town Management Group (HTMG) meets regularly to discuss and take action on improvements to Horley Town Centre. A particular concern has been improving the town centre so that more events take place, more facilities are developed and more people are aware of what Horley has to offer. The aim is to create a more vibrant environment and ensure that more people visit Horley. With this in mind, the shops and businesses will continue to thrive and Horley will continue to be a great place in which to live and work. Over the last two years consultations with local people, local shops and businesses have taken place. From these consultations a document has been produced that outlines a range of proposed improvements. Work is now starting on these projects to turn these ideas into action. 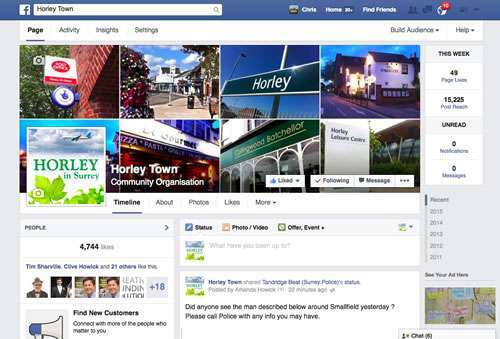 We will report on each project on this page and on the Horley Town Facebook page. This document outlines the results of the consultations that took place in 2014. Click here to download the document (1.3 mb).